Retirement planning is now more important than ever. Public purses are coming under increased strain and as a result, governments have raised the age of retirement.Twenty years ago retirement was expected at the age of 60, now this has risen to 65. In Canada, this is expected to increase further, so what can you do to ensure you can comfortably retire at the age you want? This depends on a variety of factors, but some of the most significant factors are the type of lifestyle you expect to have, the amount of money you want to save and the specific financial plans you have to get there. Take stock of yourself and your life. Ask yourself what kind of lifestyle you wish to have. Would you like to travel more? Would you like to remain active in various organizations? What will your state of health likely be? Would you like to leave an inheritance? Do you want to live in the same house or move into a smaller one? All of these lifestyle choices have costs attached to them; therefore you need to figure out how much it will cost you to maintain that lifestyle. 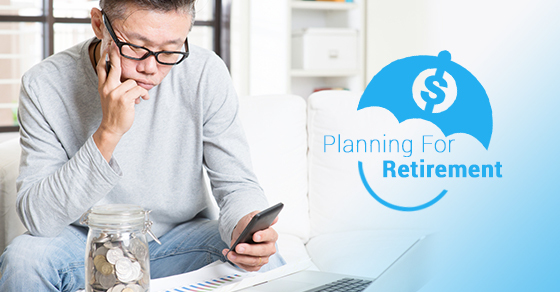 There are a range of retirement savings plans available. They can generally be divided into private, group and government sponsored retirement plans. Each plan has its pros and cons. For example, some retirement plans are tax-deferred while others are not. Some retirement plans invest in aggressive growth markets that entail more risk, while others are more conservative. If you already have a retirement savings account, monitor it to see where the money is being invested. Government sponsored plans such as the Canadian Pension Plan and Old Age Security offer potential benefits for those who qualify. These plans can supplement your current efforts for retirement so check their websites to see if you qualify. How much you need to start saving and at what rate depends on where you are currently and where you wish to be. If you are below the age of 40 then you still have time on your side. This means you can start early and benefit from investing over a long period of time. If you are over 40 you can (and should) still plan ahead, but your strategy may have to be different from someone who is younger than you. There are many qualified benefits planners out there who can help you find the necessary insurance to keep you healthy while protecting your finances, should you find yourself in need of medical care. Doing your due diligence and choosing a company that understands the needs of retired citizens is essential in choosing one that will be able to accommodate your retirement goals. You should also try to educate yourself as much as you can on your own. Read books, sign up for seminars and browse online to see what types of health care options are available to you after the working chapter of your life has come to a close. There is no shortage of material out there to give you the information you need on how to plan for retirement, and the team at Step Benefits Group is always here and happy to help. Contact us today for more information.